Most stress is either from dwelling on the past or being worried about the future. If we can learn to live in the present, we can alleviate much of our stress and worries. 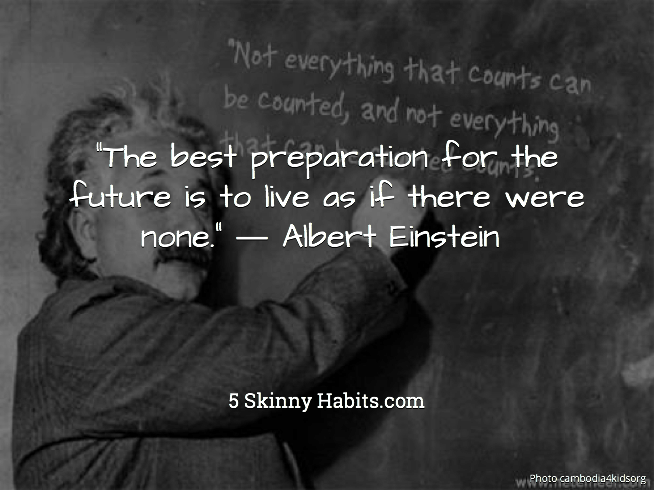 Einstein is also teaching us that there will not be a future if we do not live in the present. Often we get caught up in grandiose future plans and goals when we should simply be doing the best we can in the present. Take advantage of the present and enjoy it because you never get that moment again.